Among the many configuration management tools available, Ansible has some distinct advantages—it’s minimal in nature, you don’t need to install anything on your nodes, and it has an easy learning curve. With this updated second edition, you’ll learn how to be productive with this tool quickly, whether you’re a developer deploying code to production or a system administrator looking for a better automation solution. Authors Lorin Hochstein and René Moser show you how to write playbooks (Ansible’s configuration management scripts), manage remote servers, and explore the tool’s real power: built-in declarative modules. 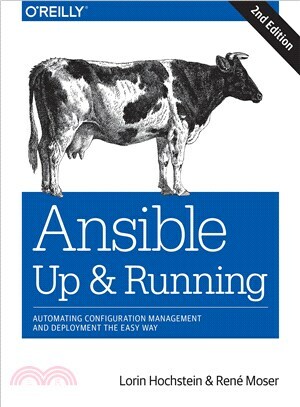 You’ll discover that Ansible has the functionality you need—and the simplicity you desire. Lorin Hochstein is a Lead Software Engineer at SendGrid Labs where he works on developing and deploying new products designed to make developers lives easier. Before joining SendGrid, Lorin was the Lead Architect for Cloud Services at Nimbis Services, a Computer Scientist at the University of California's Information Sciences Institute, and an Assistant Professor in the Department of Computer Science and Engineering at the University of Nebraska–Lincoln. Once upon a time, he conducted human subject experiments with programmers, but he hardly ever does that anymore, and his books are almost certainly not part of some elaborate software engineering experiment, why would you even think such a thing? Lorin has a B.Eng. in Computer Engineering from McGill University, an M.S. in Electrical Engineering from Boston University, and a PhD in Computer Science from the University of Maryland. Rene Moser is living in Switzerland with his wife and 3 kids, likes simple things that work and scale and earned an Advanced Diplomaof Higher Education in IT. He has been engaged in the Open Sourcecommunity since 15 years, recently as an ASF CloudStack Committer and as the author of the Ansible CloudStack integration with over 30 CloudStack modules. He became an Ansible Community Core Member in April 2016 and is currently a Senior System Engineer at SwissTXT.